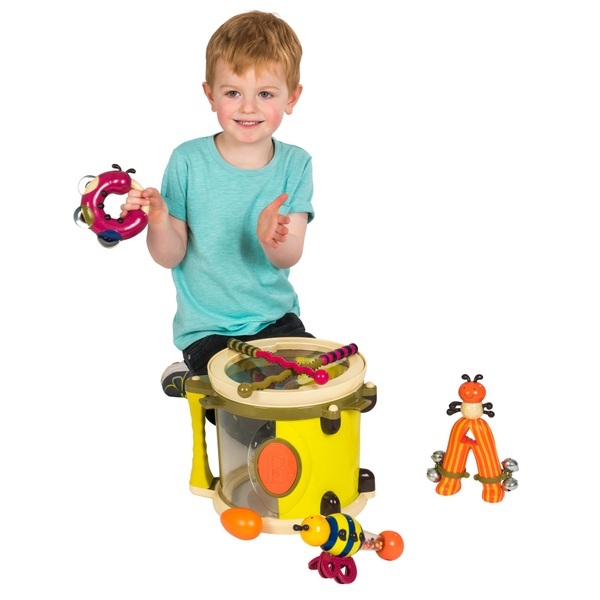 The fantastic B. Parum Pum Pum Musical Set comes parade – ready with 5 musical instruments! Play! Play! Play! The world is waiting to hear your song!